Here we are once again, believe it or not: time to start wrapping up another year! We have a few things left to come, but the biggest events are behind us. As we approach the end of the year, we'll be looking back at the year's best from our usual cast of characters. To get us started - and for a little memory jog, should you need it - heaven knows I do - here's a little flashback to the special events that marked this royal year. The first few years of this blog were heavy on the royal weddings, and now we're heavy on the baby stuff. This year we covered christenings in Monaco, Sweden, and Britain. 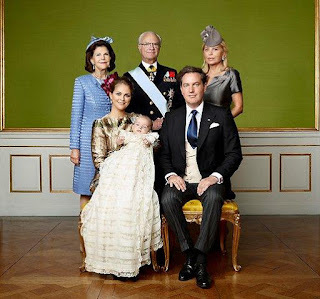 And Sweden's already reserved space on the christening docket for 2016, so the trend will roll on. We still had a few weddings in which to delight this year, though. I fell head over heels in love with the glamour of Beatrice Borromeo's evening outfit for her wedding extravaganza with Pierre Casiraghi, but the biggest party came courtesy of Sweden. 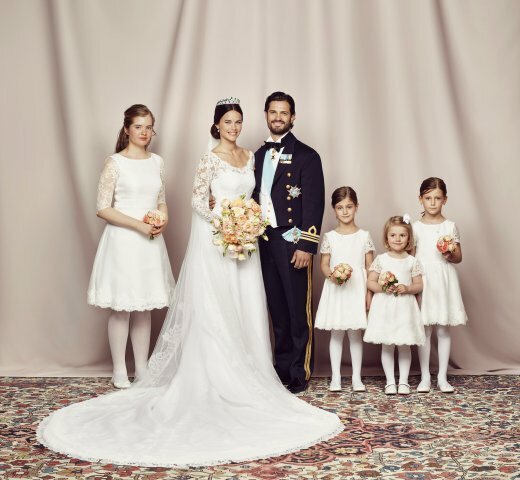 We're probably all out of big Swedish royal weddings for the foreseeable future, so soaking up the tiara-filled festivities for Prince Carl Philip and Sofia Hellqvist was a 2015 must. Queen Margrethe should get more than one milestone birthday each and every year, and not just because it would fit better with my little plural theme here. 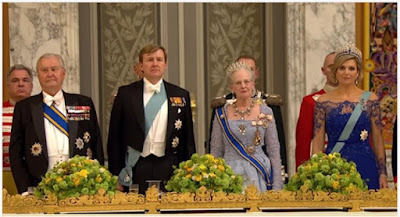 She pulled together all the European sovereign couples she could for her 75th birthday and they decked themselves out with a couple special tiara moments for us (rest assured, we have a little tiara review coming up this month too). Daisy, she's the best. Granted, state visits (and the added sartorial attention they tend to bring with them) are a highlight every year. However, this year had some extra fab moments, like the warm and fuzzy visit between Denmark and the Netherlands and the state banquet debut of the Cambridges, that warrant a final mention on this little round up. What was your favorite special royal event in 2015?